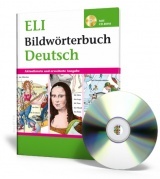 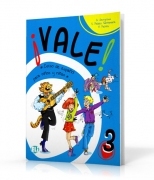 Home >> ELI Publishing >> Spanish >> Courses >> ¡VALE! 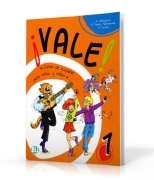 Vale is a new Spanish course for 8-11 year old children. Vale is a three-level course which aims to teach children the Spanish language through stories, songs, games and motivating activities which focus on the whole child at the centre of the learning process. 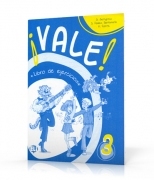 Vale is based on Gardner's theories of 'Multiple Intelligences' and is in line with the recommendations of the Common European...more..
Vale is a new Spanish course for 8-11 year old children. 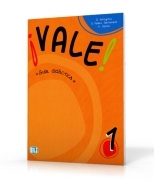 Vale is a three-level course which aims to teach children the Spanish language through stories, songs, games and motivating activities which focus on the whole child at the centre of the learning process. 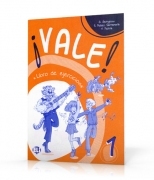 more..
Vale is a new Spanish course for 8-11 year old children. Vale is a three-level course which aims to teach children the Spanish language through stories, songs, games and motivating activities which focus on the whole child at the centre of the learning process. 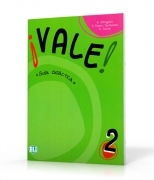 Vale is based on Gardner's theories of 'Multiple Intelligences' and is in line with the recommendations of the Common...more..